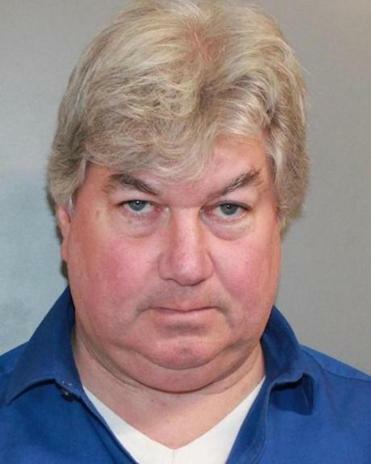 State Senator Michael D. Brady was arrested over the weekend for drunken driving and pleaded not guilty this week. State Senator Michael D. Brady, who pleaded not guilty to a drunken driving charge this week, entered a treatment program for alcohol abuse Wednesday as new details emerged of a 1998 crash in Weymouth where police cited him for drunken driving — but for which he was never prosecuted. In a statement issued on Wednesday, the Brockton Democrat said he was seeking treatment and counseling for alcohol use. Brady was arrested by Weymouth police on Saturday, the second time officers in the South Shore community have cited him for drunken driving, according to Weymouth police records obtained Wednesday by the Globe. On Dec. 4, 1998, shortly before midnight, Weymouth police arrived at 652 Pleasant St., where they found a white Pontiac Fiero had been driven into a telephone pole “at a high rate of speed,” according to a Weymouth police report written at the time. “The telephone pole had penetrated all the way through the front end to the fire wall, and there were no skid marks,’’ according to the report. Brady was injured but conscious and identified himself to police, according to the records. Paramedics were also at the scene of the crash, and while Brady was in an ambulance, then-Weymouth police Officer Richard M. Fuller Jr. stepped inside and spoke with him. Fuller concluded that Brady was “extremely intoxicated,’’ a view Fuller said was shared by the paramedics. Brady was not placed under arrest, however, because of his injuries, the report said. Instead, Fuller sent him a citation in the mail charging him with operating under the influence and operating to endanger, according to Weymouth police records. The case against Brady then shifted to Quincy District Court for a clerk’s hearing, which is historically a closed-door process where information about the evidence presented is not made public unless a criminal case moves forward. The hearing appears to have been in early 1999, and the outcome seems to have been overwhelmingly in favor of Brady. Based on court and Registry of Motor Vehicles documents, the operating under the influence of liquor charge appears to have been dismissed outright; the driving to endanger criminal charge reduced to a marked lanes violation, a civil infraction that cost him $100. And Brady was found responsible for not wearing a seat belt, and was fined $35. The court records list Brady’s attorney as Robert Creedon. But it was not immediately clear if that was a reference to Robert S. Creedon Jr., a member of a politically connected Brockton family and former state senator who is currently the clerk magistrate for Plymouth County Superior Court. In 1999, Creedon was a Democratic state senator from Brockton and Brady was a member of Brockton’s City Council. Calls to the Brockton courthouse where Creedon works and to his home in Brockton were not returned Wednesday. Brady’s more recent encounter with Weymouth police took place March 24, when an officer pulled over the 55-year-old and told the senator he would be testing his ability to drive a car. Instead of providing a driver’s license, Brady handed the officer a Massachusetts identification card “and stated he was a state senator,” according to a written description of the arrest by police. Unsteady on his feet, Brady had bloodshot and glassy eyes, slurred his words, and his breath reeked of alcohol, police said. He declined to take a chemical breath test after failing several sobriety tests in a parking lot, according to police. The first required him to recite the alphabet from A to Z. The senator “slurred the letters together to get to H, I, J; he then repeated H, I, J.” Brady subsequently gave two officers a look of confusion, and then stated “Z,” according to the police narrative. The second required Brady to count aloud backward from 60 to 40. Brady, slurring his words, correctly counted from 60 to 50 but then “kept repeating numbers in the 40’s,” the police narrative said. Brady then continued counting into the 30s, before he was stopped. Police say Brady went on to fail three other tests, including one where he struggled to balance on one foot and count — swaying left to right, putting his foot down numerous times, switching feet, and slurring numbers together. Brady served on the Brockton City Council from 1997 to 2009, according to his official biography. He was elected a state representative in 2008. As a senator, he has voted in favor of toughening operating under the influence laws. can be reached at ellement@globe.com. Joshua Miller can be reached at joshua.miller@globe.com.